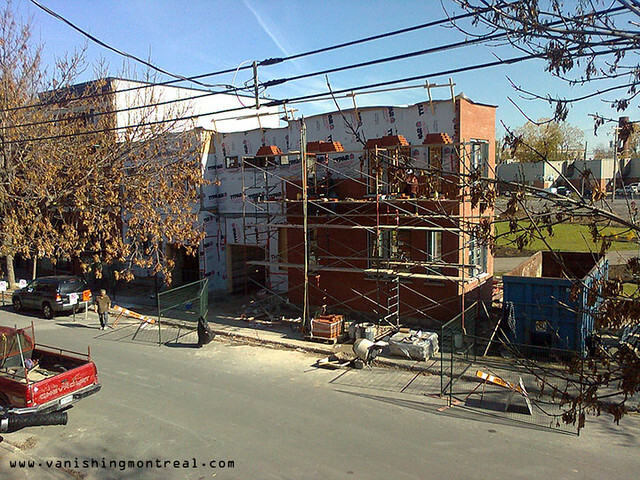 New construction project on Ste-Emilie street, near St-Remi street, in Saint-Henri. 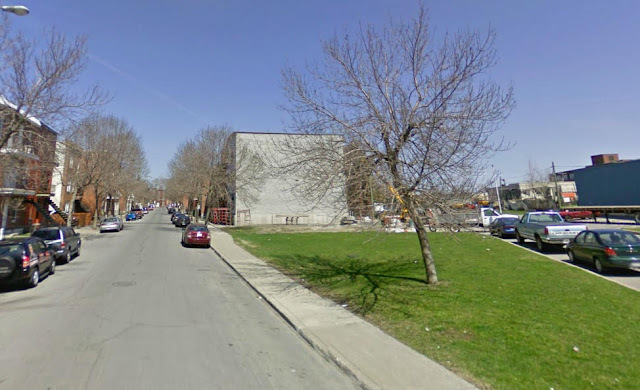 There was a very small empty piece of land (see the last image from Google streetview) and they decided to build this two-storey condo project there. 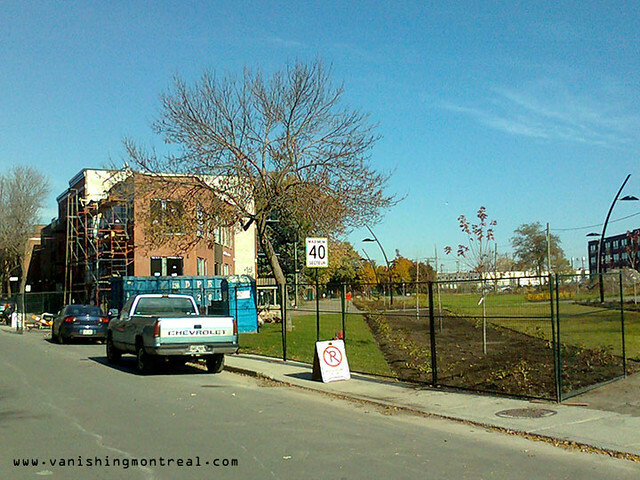 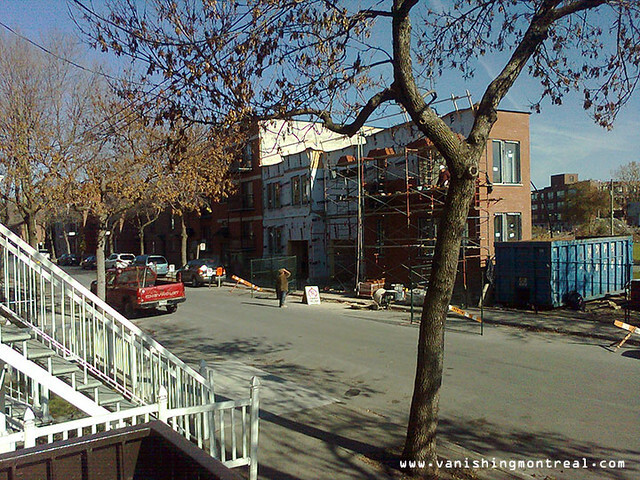 They also changed the surrounding area, removing part of a street (Butternut) and making a park there, which is cool.